WE’VE MOVED SPECIALIST LOADS, RANGING FROM TANKS TO TUG BOATS! AND BATMOBILES TO BARGES! SEPTIC TANKS, CESSPOOLS, MOBILE TOILETS, SPILLAGES AND GENERAL LIQUID WASTE - WE DO IT ALL! 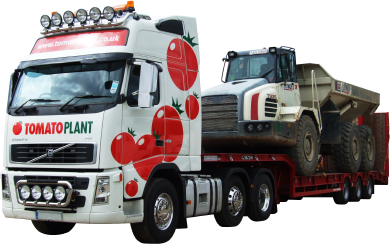 Plant – Haulage of plant and other heavy/bulky loads of up to 86 tonnes. 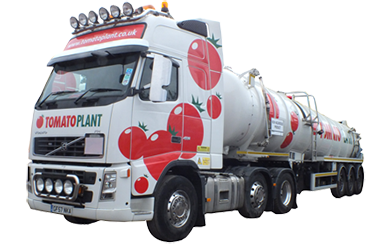 Tankers – Transport of non-hazardous liquids & off site disposal of waste liquids to licenced facilities. Drainage – Drain cleaning and maintenance services including blockage clearance, high pressure jetting, cctv surveys and hot and cold cure lining..
We are available on a 24/7 basis from our main depot in Iver, Bucks. 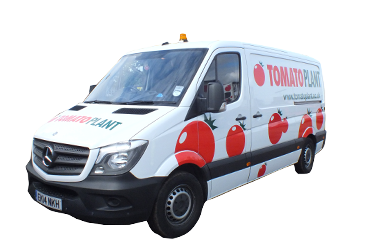 Tomato Plant is currently working towards the ISO 9001 and ISO 14001 accreditation standards. We are members of the Road Haulage Association, ALLMI and are FORS Accredited. All our vehicles are "Low Emission Zone" compliant and our operatives all receive full training relevant to their role including IPAF, CSCS, CPCS, Loader Securer and HIAB Crane Operations.